Manufacturing technology has caught up with Dr. Kase's original concept. Kinesio Tex Gold FP offers the most credible advancement yet in human touch stimulation. For years, Dr. Kase and his team of engineers have worked to preserve the Kinesio Tape formula while providing further enhancements in the technology and application of Kinesio taping. 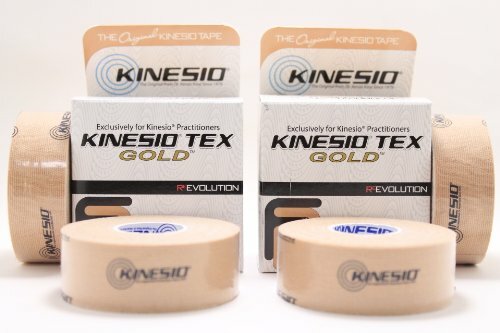 Kinesio Tex Gold FP offers all the same properties as Classic Kinesio Tex Tape, along with major ehancements in stimulation, grip, comfort, fabric quality and engineering as well as medical adhesive and process. From the original and now world famous pattern design, Kinesio has developed a NEW enhanced and Patented FingerPrint technology: Kinesio Tex Gold FP.